I bought this book because I got an Amazon discount. Most of the way through I thought it was pretty good, but it fell apart at the end. 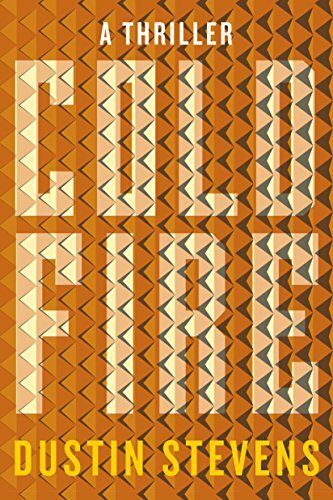 When Cold Fire begins, former DEA agent “Hawk” Tate is finishing his last trip of the season as a Yellowstone wilderness guide in Montana. When a woman with a Russian accent shows up asking him to make one last trip, he demurs. It’s too late in the season; snow is coming. She insists, saying that her brother is out there, and he hasn’t checked in with the family. She offers Hawk an exorbitant fee for the job, so he takes her in. And then there’s shooting, and Hawk is pulled back into a world he’d left behind – a world of law enforcement, Mexican cartels, Russian syndicates, and personal betrayal. The criminals have a plan – but the one thing they haven’t planned on is Hawk’s own burning hunger to get justice for a deep wrong done to him and his family. Author Dustin Stevens makes the story work right up until the climax, when he loses his dramatic sense. Instead of the rising dramatic tension you want at the end of a thriller, he makes the final climax a plain procession of executions, carried off without a hitch. I suppose he was saving his surprises for the two Big Reveals at the end, but neither of those reveals worked for me. The first was obvious (it seemed to me) from fairly early in the story if you thought about it logically. The second CONTRADICTED EVERYTHING WE’D BEEN TOLD UP TO THAT POINT, without explanation. That was just annoying. So I don’t recommend Cold Fire particularly. You might like it better. Cautions for the usual stuff. “The Boat Man” is the titular murderer’s own name for himself. He and another were the victims of a horrible crime some years ago, and now he’s back, having mastered patience and the use of a sword, to make the perpetrators understand exactly what they have put others through. And then die. 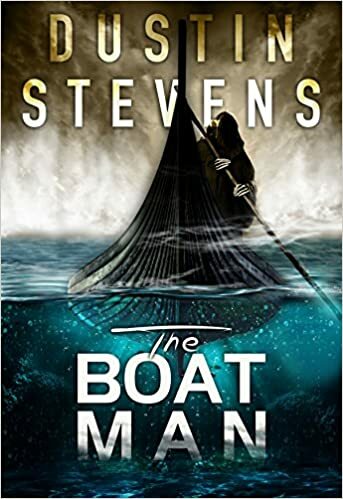 That’s the premise behind The Boat Man, written by Dustin Stevens, who is pretty good at thrillers if this book is any indication. The hero of the story is Columbus, Ohio Detective Reed Mattox, who has suffered from PTSD since the death of his (female) partner. Since then he has withdrawn from human society generally. He manages to remain a cop through taking a K-9 partner (Billie, a Belgian Malinois) and working the night shift. When the Boat Man murders begin, however, his superiors are forced by a manpower shortage to move him to the day shift and put his team in charge of the investigation. And gradually Reed begins to uncover a terrible injustice and a shameful cover-up. Author Stevens creates good characters and believable situations. The writing is generally of pretty high quality, though some typos managed to survive into the final text. I liked the book a lot and recommend it.